Actual patient. Results may vary. Unretouched photos taken before treatment and 1 month after treatment. 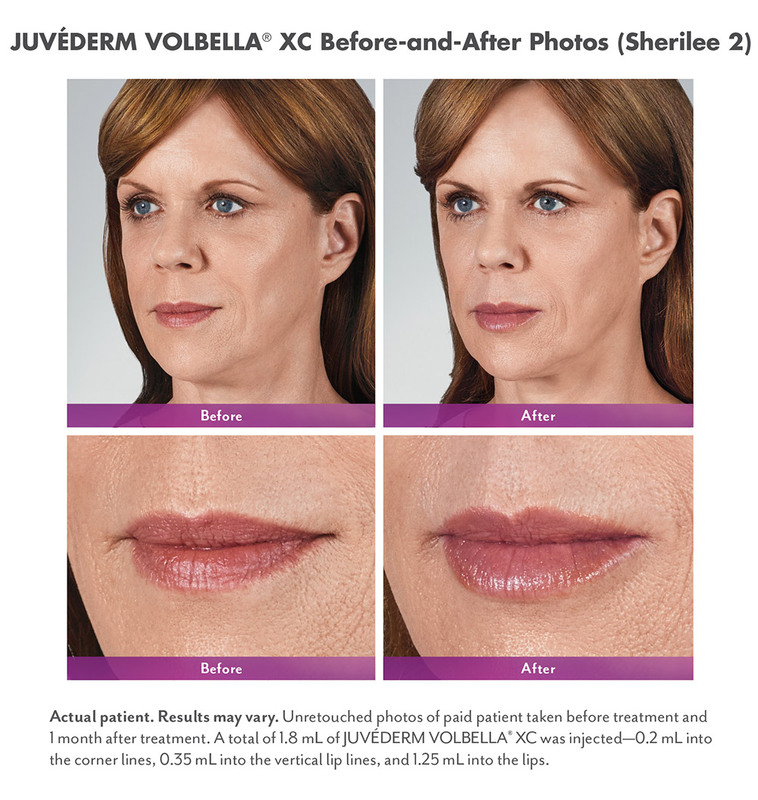 A total of 2.3 mL of JUVÉDERM VOLLURE™ XC was injected into the parentheses, corner, and marionette lines. Over time, your skin loses elasticity, which contributes to moderate to severe parentheses lines and wrinkles around the nose and mouth. 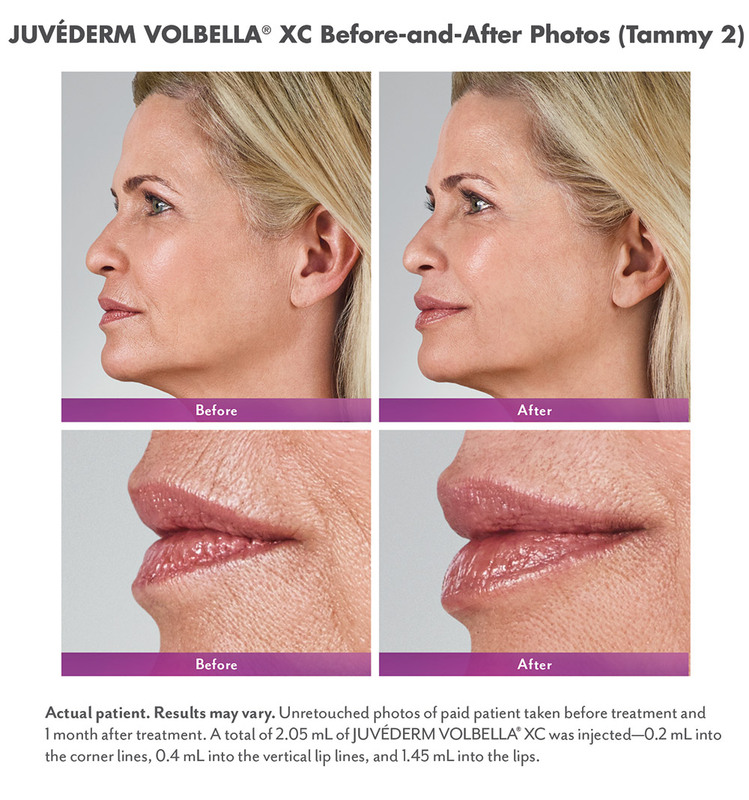 While serums and creams work on the skin’s surface, JUVÉDERM® XC and JUVÉDERM VOLLURE™ XC add volume to smooth these lines and folds, to help give you the subtle, possibly long-lasting results you want- up to 18 months.